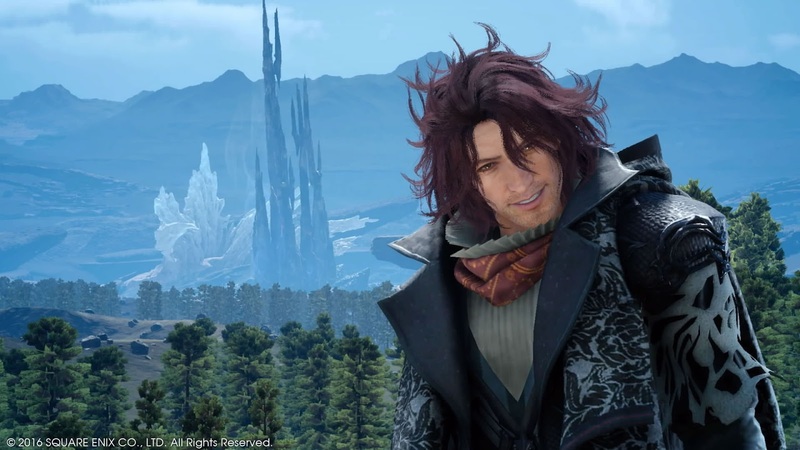 In the world of Final Fantasy XV you play as the crown Prince, Noctis Lucis Caelum of Lucis; a fairly silent protagonist in the game and someone that never really caught on with me. Whereas other characters like Cindy and Prompto actually oozed with personality, and even the mostly uptight Ignis and slightly dimwitted Gladio had something to offer in the personality department, but with Noctis however, he was just kind of… there. 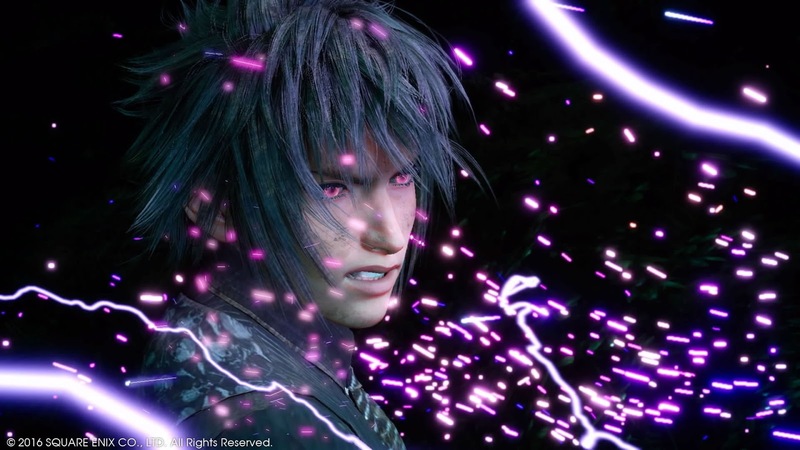 Noctis never seems to click throughout the entire game and even when there are moments of growth for him, it all stops short of a breakthrough. How much of this fault falls to the development of the game and how much of it falls to the fact that Square Enix tried to milk as much out of Final Fantasy XV by creating tons of side projects (movie, anime, mobile games, etc) to surround this title is unknown, but ultimately detract from the overall experience of the game itself. Most of my complaints about FFXV stem from Noctis himself. He is one of the weakest (if not THE weakest) main characters in Final Fantasy history…and that’s coming from a guy that summed the main protagonist of Final Fantasy XIII, Lightning, up as a “female version of Cloud”. Essentially taking the most beloved character of Final Fantasy lore and regurgitating it as a “new” character to tell a “new” story. He doesn’t come across as intelligent, or strategic, or philosophical, or romantic, or caring, or…well I hope you get the picture. And as the “story” progresses…*sigh*…let’s talk about story for a moment here. Final Fantasy has always been known as a powerhouse of complex, intricate, convoluted and romantic stories. 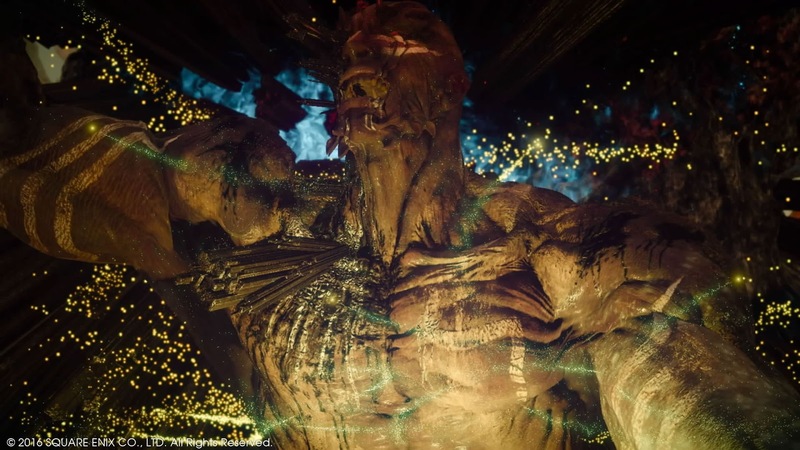 You see characters grow throughout the entire series of events in each title and feel closer to them as a result of the trials and tribulations forced upon them for fifty to eighty hours of gameplay, give or take the installment, but Noctis and company…there’s a coup that kills a king, an empire that is evil and then people die…oh and somehow, someway, people get experimented on and turned in magitek troopers and Daemons. There really isn’t more to the narration than that. Seriously. There’s not. You’re driving/running around a barren landscape (beautiful to look at btw), but not much to do besides fetch quests and killing unimportant beasts...the development team provides a huge world that feels bigger than any game world you’ve experienced (except for No Mans Sky), but literally does next to nothing with it. This is a common occurrence in No Mans Sky as well. Looks over substance comes to mind. 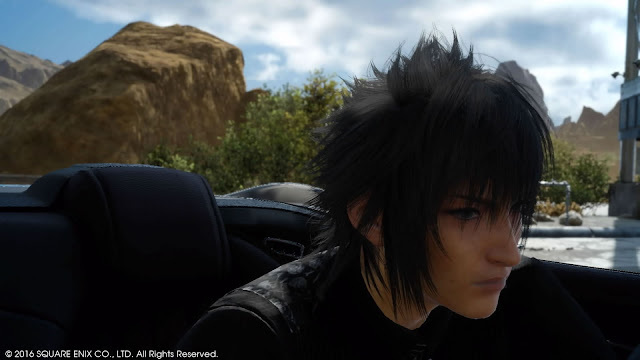 The outposts throughout the land provide nothing to build on, the people have slightly more meat to them than Noctis which isn’t saying much, the side quests and hunts add nothing to the world (and there are countless side quests), and every city you go to, feels empty and unimportant as well. For example, players will experience a tidal wave of hype for a “massive” city called Altissia, a beautiful city, one that Ignis claims nothing can rival. When you get there, it definitely looks beautiful…but, there’s nothing really to do. It’s just a set piece that ultimately fizzles out almost as quickly as you get to it. Probably two small sections of the city have people walking around and doing their own thing, but nothing to really get excited over. A pure travesty for a franchise that featured Rabanastre, Luca, Midgar, Balamb Garden and many more for the span of decades. One of the best pieces to FFXV’s puzzle however is the banter between Noctis and company. 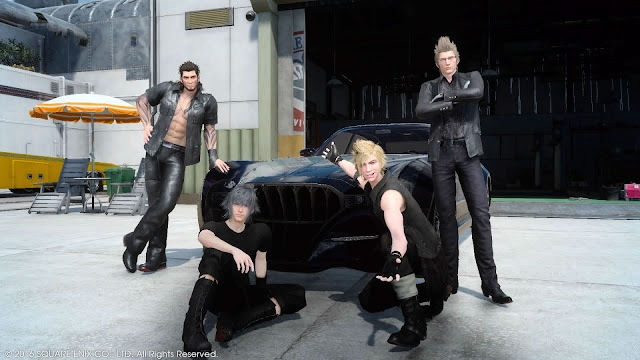 The interactions between Noctis, Prompto, Ignis and Gladio while running around and doing the annoying/pointless crap for countless hours is truly a stellar thing to hear. They truly feel like a band of close brothers. From their witty one liners to their need to stand up for each other when trouble arises. And while they each fall into clichéd stereotypes, they actually do provide a thread of hope that Noctis will have a breakthrough performance and prove why he should be the new standard bearer for the franchise, but it doesn’t happen. 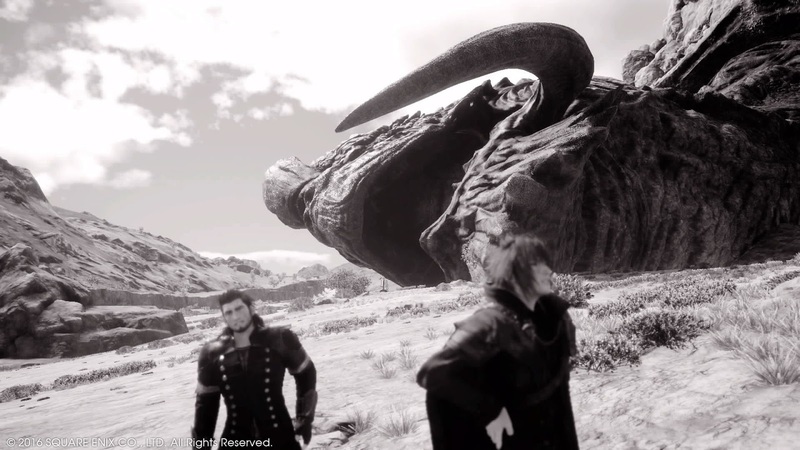 Hate to break it to you, but every single time I thought I was about to witness a miracle with the story or Noctis specifically, it always fell short of the finish line. However, at the end of the day, with all that being said, the barely skin deep story and the terrible main character, how is gameplay? You must be asking yourself, that is clearly the saving grace for FFXV, right? RIGHT?! Well, Noct really. Basic combat is good for the most part; becoming bland very quickly. In FFXV, Noctis has the ability to wield four offensive armaments at one time and can switch between them on the fly with the push of a direction of the D-Pad. Swords, Polearms, Daggers, Greatswords, Shields, Guns, Magic and Royal Arms, feature a nice range of play styles that you can learn and develop how you want to approach enemy troops and baddies. This core is solid and easily offers a good dose of variety. Mix in a block, parry and counter system to it and it feels perfect for the first few hours of the game. However, when the enemy count rises and resistances start to make their way into the game, you have to adapt. Bring on some magic! Just make sure you don’t use magic too often, because in FFXV it is consumable. Magic is a finite resource that you have to make first before you can use it in combat. Now there are plenty of elemental deposits found throughout the game world, typically around havens where your party can sleep and cash in the built up experience from the day’s haul of events, plus the skill points earned to increase the Fishing, Cooking, Survival and Photography skills the group has. Fire, Ice and Lightning make up the magic you employ, along with a catalyst (which can create special additional abilities to your spells like adding an exp. multiplier, curse, etc.) if you so choose; and will make available a nifty burst of area of effect power to the arsenal. Enemies and Allies alike will take damage and be burned, shocked or frozen at the cast of your spell…yep, you can hurt your allies and yourself with the magic you cast. Which is an interesting double edge sword…but ultimately caused me to stop using it for most of the game as I didn’t see a benefit in hurting my own team. Spells became secondary to me running up to string a combo of melee hits in before needing to guard, which can also be spotty most of the time. Even when the game prompts for the player to guard, it appears to fail roughly the same amount of time that it succeeds; mix in a lackluster “targeting” system and even melee begins to show signs of problems. This is not supported very well with the item system either. I hardly used potions, hi-potions, boosters, ailment cures…there was barely a need to deviate from just running up and “hacking and slashing” my way through enemies. Even with the increase in “difficulty” from some deamons, I only occasionally had to employ the use of elixirs. At a certain point in the game, you gain access to summon Astrals to assist you in combat. 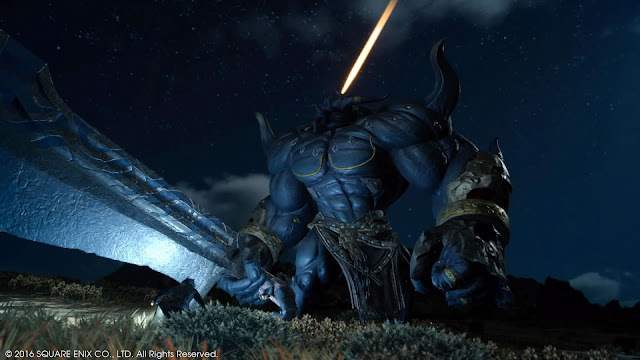 Astrals are the FFXV name for the almighty gods. Titan, Ramuh, Leviathan, Shiva and Bahamut act as your summons, but if you were hoping to do much with them…hate to break it to you…but they only show up when very specific requirements are met and the game doesn’t do anything to explain what those requirements are. Which sadly, is an underlying problem for the entire experience of Final Fantasy XV as well; everything is poorly executed. So, you’ll either stumble into it by accident to figure out at least one of the summon’s requirements or you’ll look online for information from people who bought the strategy guide to figure it out. All in all, summons are beautiful set pieces that showcase a massive amount of power, but are tremendously limited. Even one of the summons shows up a single time, only in a story cutscene. Everything about Final Fantasy XV feels undercooked and lacking of flavor, something that I know Ignis would find appalling. While there is so much promise in the world, the characters and the gameplay, none of it really shines. Always building to a completely uninspiring revelation or pathetic plot device that left me scratching my head and wondering how it could have made the cut over the span of ten years in development. Ten years is a long time to have a project in the oven and Final Fantasy XV seems like a dish undeserving of the Final Fantasy name. If this were a side project or an attempt at a brand new series, it probably would have been received better by me. As it stands, this is such an underwhelming product that does just enough to get by, but pales in comparison to the franchise of old. 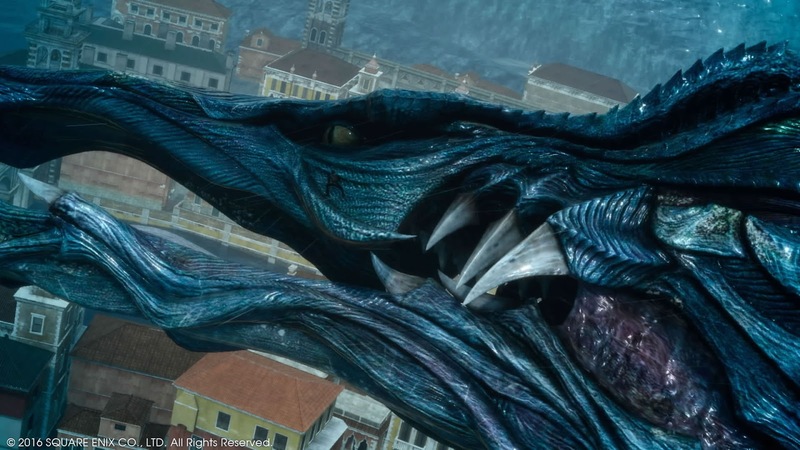 Could Final Fantasy also be gasping for it's last breath?